The early “round-case” Ducati twins are among the most usable and collectible classic bikes around and, with SS and Sport models spiraling ever upwards in value, it’s getting harder and harder to find early Ducati twins that don’t require a second mortgage to own. The iconic 750 “L-Twin” Ducati’s were redesigned in 1974 with a much more angular style that extended to the look of the engine cases. 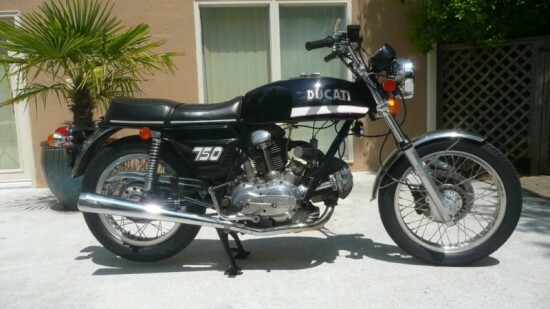 The restyle was not very well received by many Ducatisti at the time, and the earlier “round-case” models have become more desirable, decades later. The slightly less valuable GT’s are still rising in value, and their more humane riding position and higher bars may make them that much more appealing to those who can afford them. And you still get the tower-shaft and gear-driven over head cam twin for which Ducati has long been known and loved. Approx. 20200 miles; well maintained and regularly used for short pleasure trips. 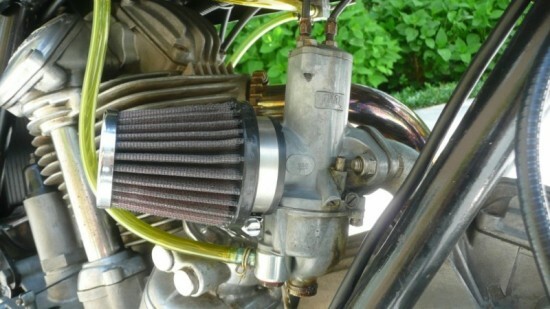 Amal carburetors with K&N filters. Lockheed brake caliper with Brembo master cylinder. Bike is not showroom perfect. It has some non-standard parts, see below. The fiberglass tank has been replaced with a steel tank which has been lined with Caswell, the side covers are original fiberglass. New professional paint to an original black layout. Chrome and stainless steel parts are in excellent condition, as are the rims. The spokes are stainless steel. 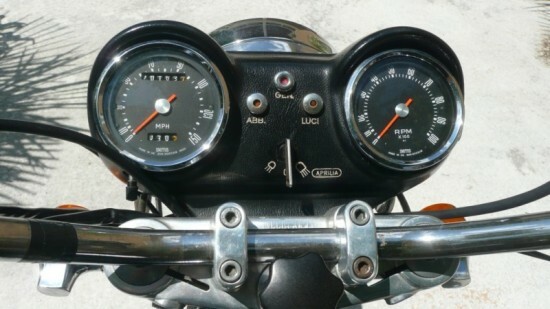 Original instruments and panel, speedo reads somewhat high. The exhaust has some dings and scratches, but sounds great. New Contis are available from BevelHeaven. Steering angle to the left is very restricted to avoid the forks touching the tank. The combination Brembo master and Lockheed caliper results in very short brake lever activation. Bidding’s up to over $12,000 and the reserve has not been met. 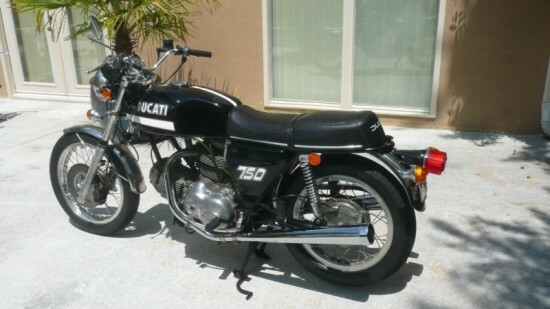 There’s not much time left on this auction, so move quickly if you’re looking for a way into the vintage Ducati club that will keep your lower back from seizing up and let you take your significant other along for the fun.